In full bloom right now, the Illawarra Flame Tree at the New Lynn end of Ash Street, Avondale, is a joy to behold. 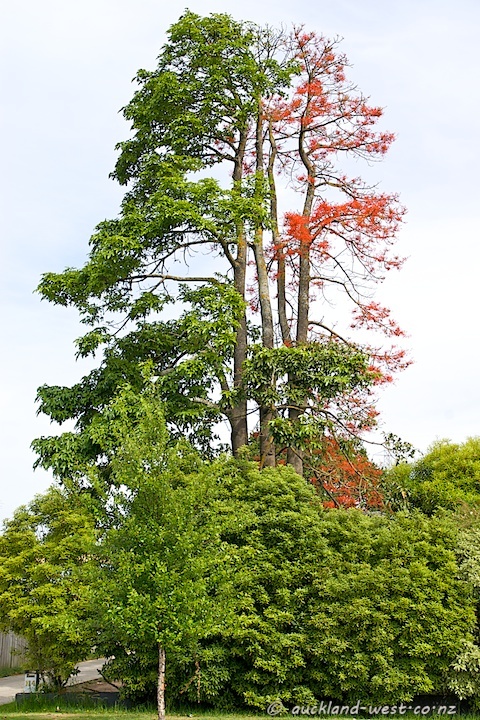 A few years ago, I showed pictures of successive seasons, where only one half of the tree was in flower, in alternation. In the intervening time, I was unimpressed with the flowering display and did not take pictures (there were hints of half-and-half). But this year the two halves got their act together magnificently! 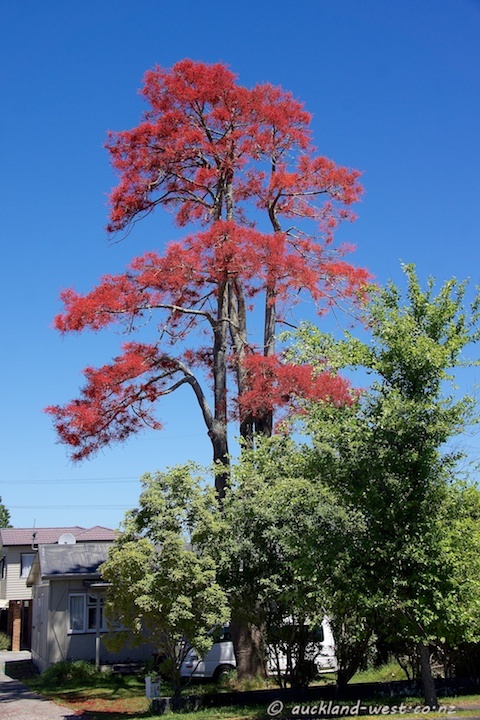 The Illawarra Flame Tree (Brachychiton acerifolius) is a native of Australia with stunning red flowers, very conspicuous because it sheds its leaves before flowering. 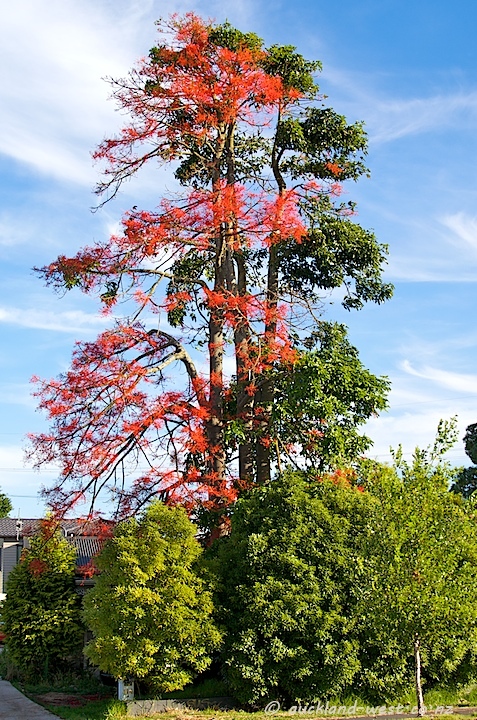 Found as specimen tree in some New Zealand gardens.